Happy Tuesday! I hope everyone out there had a lovely 3-day holiday weekend! All of the items I am wearing in this blog post are some of my new favorite pieces that I have been wearing on repeat. I am in love with these "mom" style jeans! They are actually more flattering than I thought they would be. I can't stop wearing them, the denim is so soft and I love the silhouette they give the body, even when just wearing flats. A perfect on trend jean to wear right now! Anyone who knows me or follows my blog knows I love stripes! Any color, any style, on anything! This top is perfect for work or play, I use it for both and I love the dusty pink color too! Definitely a style to keep in your arsenal! The mule trend is so popular right now that I had to snag myself a pair and I love these ones that I got from Forever21 that are under $25. I wear them all the time! They are very comfortable and just the right heel height to be comfy in all day! I picked the grey color to shake my shoe collection up a little bit, but I am very happy that I did because the color pairs with everything and anything! Most of these pieces are currently still available, but I have linked very similar ones if they are not. 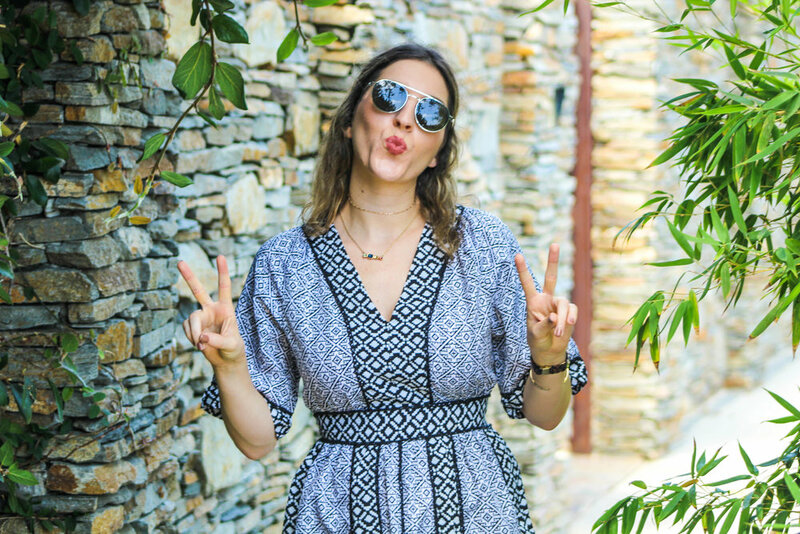 I suggest trying out a few or all of these trends and pieces and I am sure you will be wearing them on repeat just like me! Thanks for stopping by y'all!